Over the many years of parenting, I have found many favorite children’s books. Now as a grandmother, I have the privilege of helping my daughter in raising another young reader. And in exchange, I am being introduced to many new books and authors! This month I want to share with you two of my newest favorite children’s books. 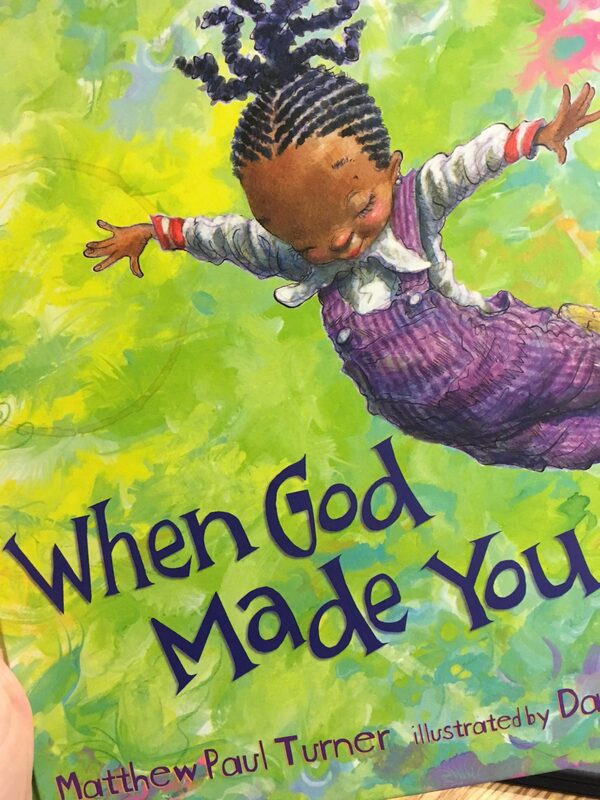 When God Made You is written by Matthew Paul Turner (husband of Jessica N Turner), and is illustrated by David Catrow. When God Made You is more than gorgeous. I truly can’t get over the colorful illustrations. 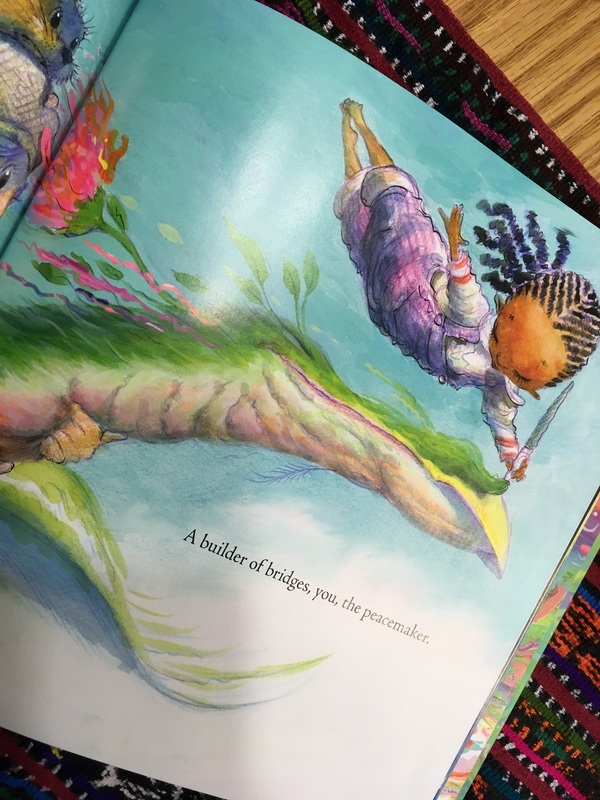 As amazing as the words in this book are, it is the illustrations that capture my grand daughter’s attention every time we read the book together. 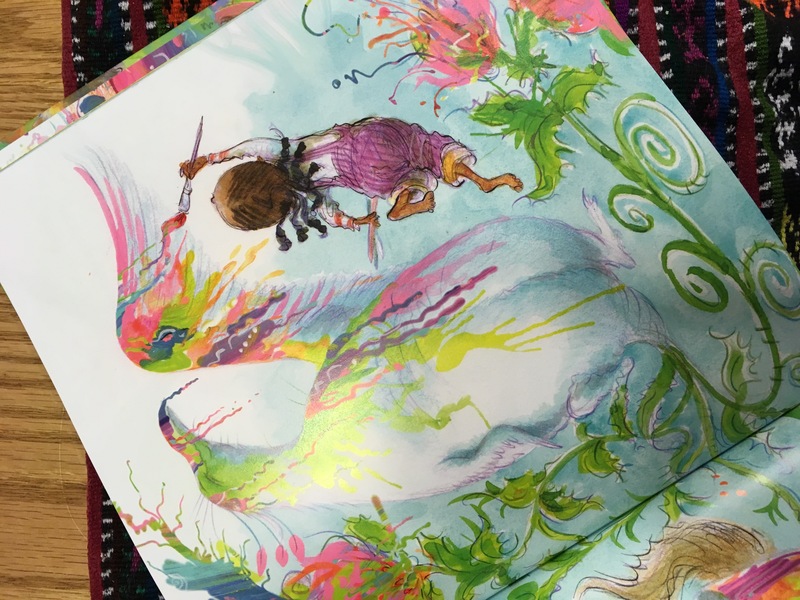 The illustrations are full of abundant, brilliant, wild color, with a little girl character who so closely resembles a little one I love so much. The words of this book are a prayer, or a blessing, to speak over our precious little ones. Words to settle in the deeper places of young hearts, to settle on the soil, take root and grow stems and branches of fruit as the child grows in understanding. I’ve purchased several more copies of this book, and I imagine it will be the baby gift I give, over and over again. Another favorite is one that I was recently sent for review; Thank you, God for Grandpa by Amy Parker. I have enjoyed many other books by Amy Parker, and this one is just as fun. The illustrations are cheerful and full in color, and the words are sweet. Papa and Miss Joyness have had a great time reading the book together. 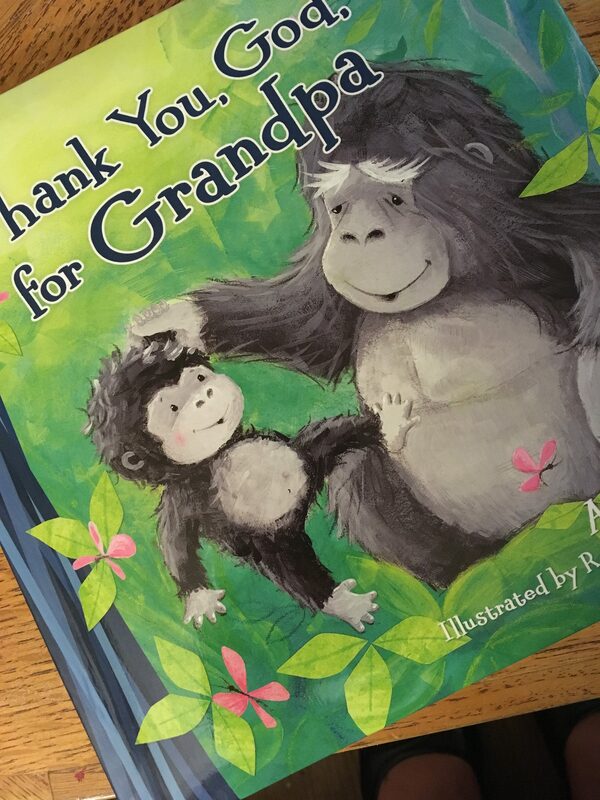 “Thank You, God, for Grandpas,For Pops and Papas too,For Granddads, Gramps, and Grandpappies— They’re great, grand gifts from You!” Yes, Miss Joyness calls her grandpa Papa, and I love how the book covered many of the names grandfathers go by. 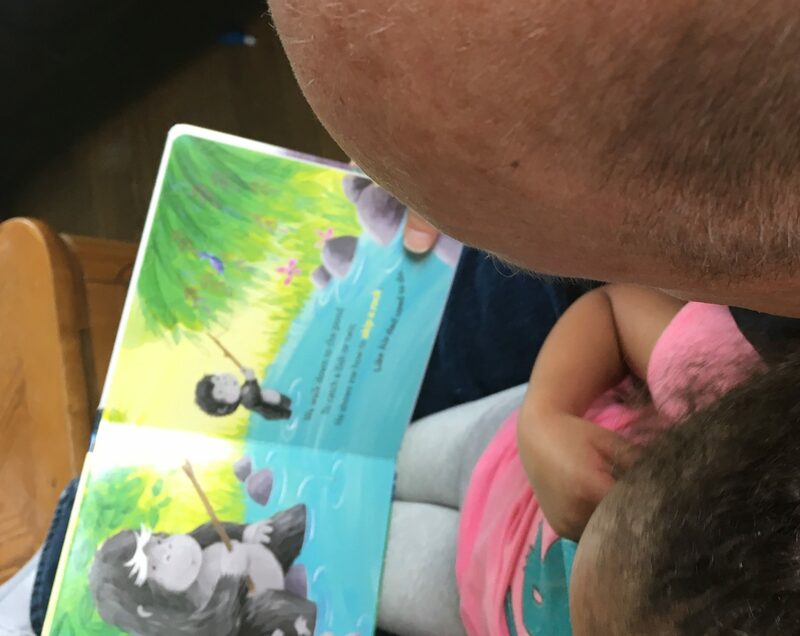 Daddies and Grandfathers are invaluable and precious members of each family and it warms my heart that they are celebrated in this book. Thank you, God for Grandpa by Amy Parker was provided to me for free by Book Look Bloggers, in exchange for my thoughts on the book. When God Made You was purchased by me, over and over again. There are affiliate links in this post, so I may receive a small compensation from Amazon if you make a purchase through these links. That will help me continue to add good books to our reading stack!